The June issue of Australian Gourmet Traveller, out today, unveils the cream of Australia's travel crop, from the outback to the coast and beyond. The winners of the sixth annual Gourmet Traveller Travel Awards were announced last night at an exclusive dinner at the lavishly refurbished Park Hyatt Sydney hosted by the editor of Gourmet Traveller, Anthea Loucas, and attended by Australia’s travel industry leaders. Special guests included Nine Network personality and Getaway Lounge ambassador Catriona Rowntree, who acted as MC; star chefs Neil Perry, Guillaume Brahimi and Justin North; and Renaud Tinel of awards sponsor Nespresso. Highlights of the 2012 Gourmet Traveller Travel Awards include the revamped Lizard Island (winner of Best Resort or Lodge); new categories such as Best Weekend Away and Best Stopover City (won by Melbourne and Singapore, respectively); South Australia's Arkaba Station (Best Outback Experience); the Whitsundays' Qualia (Best Australian Island Resort and Best Spa); and Hobart's MONA (Standout Australian Travel Experience for the second consecutive year). London, naturally, is the Hottest International City of 2012: nowhere else will hold a candle, far less an Olympic torch, to the English capital this year. This year's Gourmet Traveller Travel Awards attracted more than 22,000 votes. One lucky voter wins the main prize, courtesy of boutique hotel gurus Mr & Mrs Smith: a five-night escape to Shanghai worth $11,250, including return airfares with Qantas and accommodation at The PuLi Hotel and Spa. The 13 Readers' Choice categories and finalists were chosen by an expert panel of travel writers, editors, photographers and independent industry professionals. Gourmet Traveller readers and viewers of the Nine Network's Getaway program were then able to vote online in each of the categories. Winners of a further five Expert Awards categories were chosen by the expert panel alone. Discover the World Marketing is excited to announce that we have moved into a new office this week. After 30 years in North Sydney we have relocated to the Sydney CBD, into a newly refurbished office to accommodate our expanding team. “Over the last few years we have experienced significant growth and as a result we out grew our office in North Sydney” says Birgit Eisbrenner, Discover the World Marketing’s Country Director. “Our new central location will provide great access for our partners and clients”. “After an initial hitch with our systems, I am pleased to advise that our emails are up and running now. Some of our phones lines are however still affected and we would like to apologise to our valued travel partners for any inconvenience caused" continues Birgit. Our new address is Level 7, 89 York Street Sydney. The world's largest international fair in 2012, Expo 2012 Yeosu has opened in Korea on May 12. Last Sunday, 27 May the Australian Pavilion hosted Australian national day at the Expo and had the opportunity to show the world what Australia has to offer. With famous international model Jessica Gomez, pop sensation Jessica Mauboy and several other Australian performers they shone the light on the Australian pavilion at Expo 2012 Yeosu. The Australian pavilion has won popular appraisal from visitors who are warmly welcomed by 'Alpy' the mascot, an Australian little penguin. The theme of the Australian pavilion is 'In Harmony with the Ocean' where visitors can learn and enjoy many aspects of Australia's high environmental, scientific and technical capabilities in marine conservation and its commitment to sustainable development of our vast natural resources. Expo 2012 Yeosu runs for three months until the 12th August. The Expo is drawing great interest from international visitors to its pavilions. From the world's first off-shore exhibition hall to Korea's largest aquarium and an International Pavilion which houses Australia's exhibition hall to the 'Big O', a 43metre tall structure over water is drawing great interest from around the world. The 'Big O' is the place to enjoy the beautiful fountain show that features the world's first hologram video technology. The 'Big O' is an oval shaped steel structure that has an enclosed water screen that shows videos, while the outer rim is installed with devices that produce water jets, mist, flames, lights, lasers etc. The Expo Digital Gallery is where Korea's world first digital technology shines, a giant LED display covers the entire ceiling and walls of the main street of the Expo site. Through diverse exhibitions, the Digital Gallery aims to highlight the importance of nature to humanity. The Korean pavilion built in the shape of a 'taeguk' or yin-yang symbol features an exhibition hall showcasing various media presentations using digital and analogue technologies and a media hall showing films about the future of Korea's role in the global marine industry. The Aquarium/Marine Life Pavilion at over six thousand square metres is the largest in Korea where visitors can observe rare marine life like beluga whales, Baikal seals and penguins etc. The Marine Life Pavilion allows visitors to interact with sharks, stingrays, sea turtles, jellyfish and more. The Eco-Terrarium simulates the ecological features of the Amazon. The pavilion also houses a mudflat ecosystem centre and a 4D submarine simulator to explore the aquatic life 6,000 metres under water. There are a total of 106 participating countries in the International Pavilion which is divided into five sections each named after the earth's five oceans. The Australian Pavilion is located here. This pavilion also features a second floor restaurant hall serving and selling specialty dishes from around the world. The Expo Hall showcases diverse cultural performances where visitors to the country will be able to enjoy Korea's traditional music and dance performances. Also there are five themed Expo Plazas which have daily entertainment and events to enjoy. The Corporate Pavilion depicts the future of the shipbuilding, marine, IT and green-growth industries. It is comprised of seven individual company pavilions representing GS, Hyundai Motor, LG, Lotte, Samsung, SK and POSCO. The Energy Park is designed to demonstrate the vision of 'Low Carbon, Green Growth' The Renewable Energy Production facility houses a solar power plant and energy promotion centre and the Experience Zone provides platforms for energy education through energy orchestra, water cannon bikes and a dance floor. A big drawcard for visitors to the event is the many K-POP Concerts being held at Expo 2012 Yeosu over the next two and half months. The line-up includes some of Korea's biggest stars such as Wonder Girls, BEAST, SHINee, 2AM, Miss A, Super Junior and MBLAQ. A Hallyu (Korean wave) concert scheduled for June 9 and sponsored by Korea Tourism Organization will include BEAST, Jay Park, A Pink, BTOB. Big Wave concerts will be held on June 15, 19, 26, July 5, 21 and on August 11 prior to the Expo closing on August 12. A standard one day pass to Expo 2012 costs 33,000 Korean won for adults (approx. A$28) and children/Seniors 19,000 Korean won (approx. A$15.80) Tickets can be purchased online on the Expo 2012 website. Tour packages from Australia are available through CTS Tours who have tours starting at $2,300 per person twin share for a 6day/5night package tour to Seoul and Yeosu including return airfares Australia/Korea, accommodation, city tour of Seoul, two days at Yeosu expo and return KTX express train tickets from Seoul to Yeosu return. Legend Asia have a three day/2night package from Seoul to Yeosu starting at $380 per person twin share including return KTX train to Gwangju, free shuttle bus from Gwangju to Yeosu, two nights accomodation with daily breakfasts and Expo admission for two days. Lotte Travel have three day land only packages from Seoul-Yeosu including return KTX and accommodation from Seoul for $329 per person twin share depending on accommodation choice. Packages with return airfare to Korea starts from $1,599 till 17 June. Smile Travel also have a three day/2nights package from $299 per person twin share including staying in either Suncheon or Gwangju nearby the Expo, return KTX from Seoul and free shuttle to Expo site. For more information on travel in Korea or Expo 2012 Yeosu contact the Sydney office of Korea Tourism Organization to request information, travel guide book etc. The Chiang Mai hotel at the centre of a mystery after four guests - three of them tourists - died at the northern Thailand property, is being demolished to make way for a new hotel. The Downtown Inn made headlines amid claims that chemicals used there might have caused the deaths. 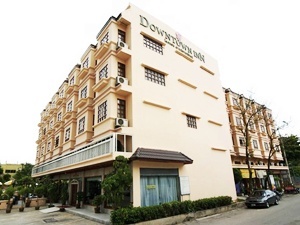 A British couple, a 23-year-old New Zealander, and a Thai tour guide all died within 16 days in adjoining rooms at the three-star Downtown Inn in February 2011. Thai health authorities initially blamed "toxic seaweed" for one of the deaths, but it later emerged that hotel staff might have been over-zealous with the use of pesticides to remove bed bugs. The Bangkok Post reported that an official report - released after a five-month probe into the incidents - concluded that three of the deaths were probably connected to the use of pesticides. Chiang Mai authorities have subsequently introduced a series of public health safety measures which they hope will offer greater protection to tourists. Travellers aged 23 to 30 encounters the most strife when travelling overseas, particularly those under the influence of alcohol, 1Cover Travel Insurance today announced. Compiled data from the insurer highlights 20-somethings as the age group making the most claims – particularly for medical expenses and lost luggage. Managing director of 1Cover, Eddie Feltham, said he was surprised at the results. Older people also pay more for pre-existing medical conditions, but Mr Feltham believes the general health of travellers is not what bucked the trend – its alcohol and mindset. The 2007 National Drug Strategy Household Survey found that alcohol is a significant contributor to violence and hospitalisation of young adult and underwriters, Allianz Global Assistance, agree this carries over to behaviour abroad. Claims Manager at Allianz Global Assistance, Peter Teen, said that they frequently dealt with claims where hospitalisations were attributed to misuse of alcohol and drugs. He warned young travellers about so-called ‘jungle juice’ and drink spiking at popular holiday destinations. “Keep an eye on your drinks to protect against spiking and be mindful of what you are consuming - drinks can be laced with methanol which is poisonous. People have died from drinking jungle-juice,” he said. gastroenteritis while holidaying in remote locations (South America/Asia). Virgin Atlantic today celebrated its first flight between London Heathrow and Vancouver. 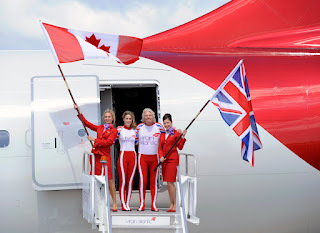 The inaugural flight arrived in Vancouver today, 25th May and to mark the occasion, Sir Richard Branson was joined on the steps of the aircraft by Amy Williams MBE, winter Olympic Gold medallist from Vancouver 2010. The new service will operate four times a week on a Tuesday, Thursday, Saturday and Sunday. Initially the service will run throughout the summer up until 27th October 2012 and will see up to 40,000 Virgin Atlantic customers travelling between London and Vancouver in the first season. As the airline's 32nd worldwide route, it is estimated that Virgin Atlantic's flights will deliver around CAD$20million (UK£12.5m) of tourism revenue to the Vancouver market each year. "I am delighted to be here to mark this occasion and especially pleased to be joined by Amy Williams who is undoubtedly the darling of British Winter Sport – she returned home to the UK from Vancouver in 2010 as a National heroine." "We've had lots of customers asking us to fly to Vancouver over the years, so we're delighted to launch this new route in response to customer demand. Vancouver is such a cosmopolitan city, full of culture, shopping and restaurants but it also offers stunning beaches and a range of outdoor adventure options on its doorstep. Vancouver's tourism is thriving and we believe that we can drive demand even higher by providing great competition with our award winning product and service. The UK has the largest number of overseas visitors to British Columbia each year so it is a natural addition to our route network. This route launch further cements our position as the UK's leading long haul leisure airline." "I've not been back to Vancouver since winning gold over two years ago so I am really excited to be here again. It will no doubt be an emotional experience to go back to slide centre and to see how I feel and what emotions come flooding back. Vancouver is a fantastic city and I am looking forward to being part of Virgin Atlantic's celebrations and to see what it's like now and if it's still reminiscent of the Games." "It is great news that Virgin Atlantic has chosen to add four weekly flights between London and Vancouver. The United Kingdom is one of our key markets and also serves as a hub for other international travellers heading to our province. 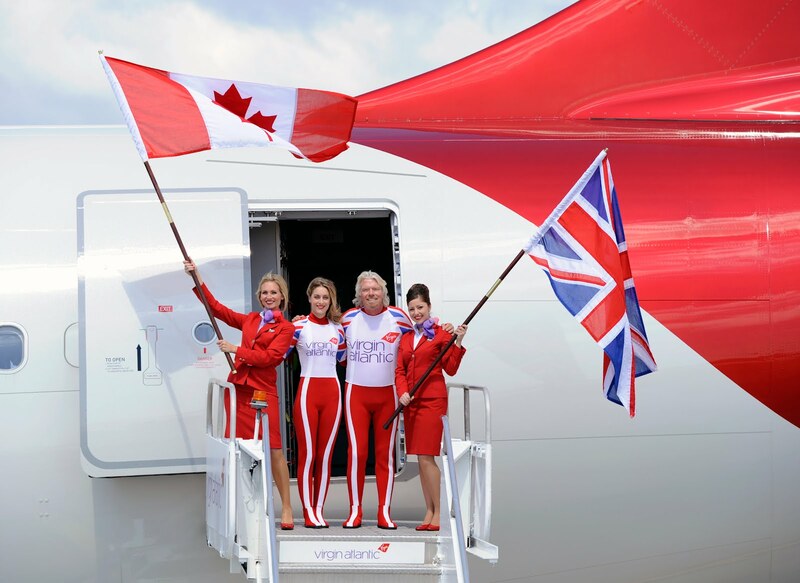 "Virgin Atlantic is recognised around the world as a progressive and innovative airline and we are excited about welcoming their passengers to British Columbia." "We have been working for years to bring this world-class carrier to Vancouver as a means to offer passengers more choice and satisfy the high demand for flights to Europe, particularly during the busy summer season." "This new service means more jobs for British Columbians and increased tourism revenue, particularly given that the UK is B.C. 's single greatest source of overseas visitors." For further information or to book please contact www.virginatlantic.com or call 0844 2092 770. § The service will be operated by an Airbus A340-300, which will be configured with 34 Upper Class suites, 35 Premium Economy seats and 171 Economy seats. § The inbound sector from Vancouver (VS96) will on Thursdays and Sundays depart at 19:20 and arrive in London Heathrow the next day at 13:15 and on Tuesdays and Saturdays depart at 20:05 and arrive in London Heathrow the next day at 14:00. 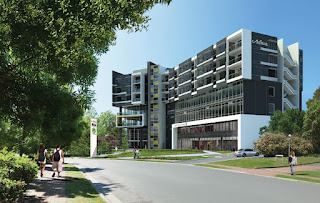 Located within the Norwest Business Park at Baulkham Hills, the apartment hotel is set for completion in August 2012. 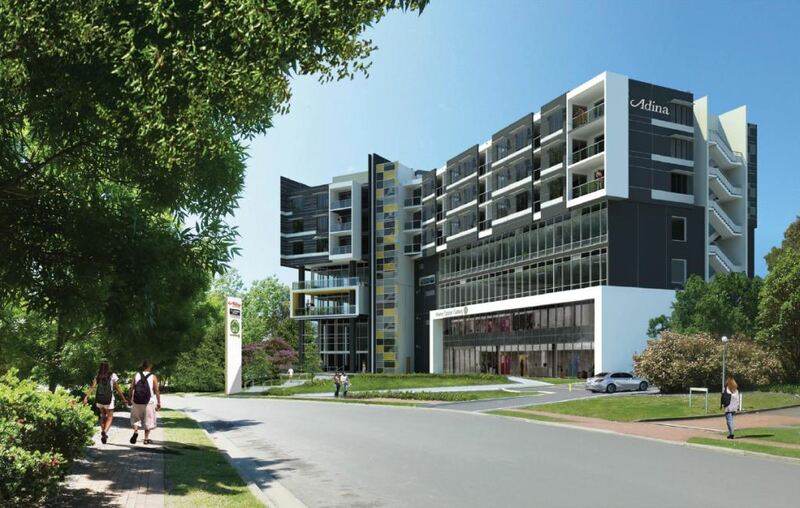 Adina Apartment Hotel Norwest will be a welcome addition to Norwest Business Park - preeminent property developer Capital Corporation's latest development. Known as 22B Norwest, it is a significant and progressive business park fast becoming a thriving commercial hub. Situated just 45 minutes' drive from Sydney's CBD, Adina Apartment Hotel Norwest will make doing business with some of Australia's leading brands easy by offering a place for guests to make themselves at home, along with providing conferencing facilities. At Adina, there is no need to sacrifice lifestyle when travelling – guests relax in the spacious living areas of the stylish apartments, relish the convenience (and cost savings) of fully equipped kitchens and laundries and wind down at the in-house gym and pool. Also, an emerging dining and retail precinct is close for those making Adina their base while away from home or relocating. Rachel Argaman, CEO of Toga Hotels, said: "We are delighted to offer guests the chance to pre-book their first stay at the brand new Adina Apartment Hotel Norwest. We are thrilled to introduce our known and loved Adina Apartment Hotel brand to an area with high corporate and leisure demand. Toga has embraced the growth of the Norwest Business Park and an ongoing partnership with Capital Corporation." Steve Grant, Director of Capital Corporation, said: "Capital Corporation has been instrumental in the development of Norwest Business Park as we have built and/or developed over 40 properties since its inception. We are pleased to be able to expand our portfolio by developing Norwest's first serviced apartments and are excited to be working with Adina Apartment Hotels on this venture." The building which houses Adina Apartment Hotel Norwest is comprised of approximately 11,000m² of quality office accommodation and speciality showroom in addition to the quality appointed serviced apartments. Designed by Scott Carver Architects, 22B Norwest will also include a three level open deck car park, coach set down and parking areas. Toga Hotels is currently pursuing an ambitious growth strategy for the Adina Apartment Hotel brand within Australia. In addition to Adina Apartment Hotel Norwest, coming soon is Adina Apartment Hotel Bondi Beach (2013), Adina Apartment Hotel Mascot (2013) and Adina Apartment Hotel Royal Randwick Racecourse (2014). 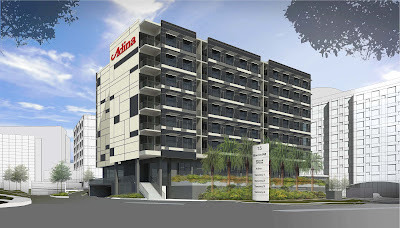 For more information about Adina Apartment Hotels visit: www.adinahotels.com.au. Rocky Mountaineer invites travellers to explore more of Western Canada with its new Holiday Extra offer. 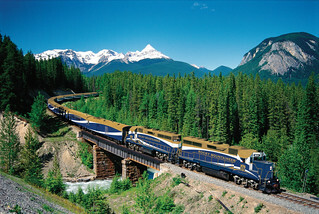 From now until June 30, 2012, guests who book package tours of four nights or more will receive added value of up to $500 per person to put towards their choice of activities, extra hotel nights in any destination, added meals or a trip onboard the Whistler Sea to Sky Climb route, further enhancing their Rocky Mountaineer journey. "We are delighted to introduce our enticing new Holiday Extra offer, giving guests the opportunity to enjoy all of the stunning sights of British Columbia and the Canadian Rockies the way they want to," says Hubert Wat, Vice President, Global Marketing of Rocky Mountaineer. "With customizable options such as our Whistler Sea to Sky Climb route and city stop add-ons, guests will be able to enjoy and explore more of what Western Canada has to offer." On board the Rocky Mountaineer, guests can experience the breathtaking Canadian Rockies first-hand with the Western Explorer package, one of the many great options available with the Holiday Extra offer. The eight-night/seven-night package offers two days onboard the award-winning Rocky Mountaineer and an exciting helicopter tour soaring above through the Canadian Rockies en route to Calgary. With this limited time offer, guests are able to customize their holiday to best suit their preferred itineraries. Travellers can take advantage of the Holiday offer from now until June 30, 2012. Additional credit of $500 per adult is for GoldLeaf Service bookings. Guests in SilverLeaf Service receive $400 per person and RedLeaf Service bookings are given a $300 per adult in added value. Further restrictions may apply. For more information on the new Holiday Extra offer or to receive a copy of the 2012 Rocky Mountaineer brochure, please contact your local travel professional or Rocky Mountaineer directly at 00-11-800-0606-7372, or visit rockymountaineer.com. For the latest news and offers, follow us on Twitter @rmountaineer or become a fan on Facebook. Rocky Mountaineer offers over 45 Canadian holiday packages and four unique rail routes, rich in history and natural wonders, through British Columbia and Alberta. This world renowned, luxurious train travels by daylight through the wild beauty of Canada's West and is the best way to experience the majestic Canadian Rockies, a UNESCO World Heritage Site. Over the past 22 years, Rocky Mountaineer has grown to become the largest privately owned passenger rail service in North America and has welcomed more than one million guests onboard from around the world. In 2011, Rocky Mountaineer received the most awards for service excellence in the company's history. Winning its seventh World Travel Award in 2011 as "World's Leading Travel Experience by Train," Rocky Mountaineer has also been recognized by National Geographic as one of the "World's Greatest Trips." Virgin Atlantic and Visit Britain launch a jointly funded marketing campaign, Great Britain by Virgin Atlantic, marking the beginning of a year-long partnership aimed at inspiring more Australians to visit Britain in 2012 and 2013. 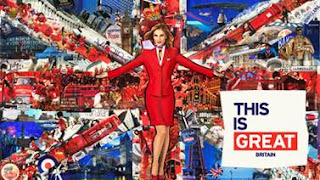 The $1million partnership uses elements of Visit Britain's current 'This is Great Britain' branding and Virgin Atlantic's 'London by Virgin Atlantic' creative to deliver a bespoke multi-platform, integrated marketing campaign. Creative was developed by Virgin Atlantic's creative agency RKYR London and GPYR Sydney, with media planning and buying by OMD Sydney. Virgin Atlantic and Visit Britain have combined marketing resources to increase the share of voice of both brands in a very competitive environment. Leveraging their strengths both have aimed at creating a campaign that communicates the multiple attractions of the destination in a uniquely Virgin way. "The Union Jack flag is one of the most recognisable brand symbols in the world. To highlight all that's great about Britain, we built a uniquely intriguing flag collage from multiple images of British destinations and icons. We added the Virgin wit and flair for cut-through, and the crew girl who symbolises the sparkling premium service that we are famous for. Finally, we seamlessly integrated Visit Britain's core brand elements and logos to leverage the awareness they have already built in this market with the 'Great' branding campaign"
With the Australian dollar at an all-time high against the British pound, Virgin Atlantic saw significant opportunities in the Australian market to grow leisure traffic to Britain. 2012 is a landmark year for Britain and Visit Britain are the perfect partner to help Virgin Atlantic capitalise on the increased awareness and attention that will be drawn to this exciting destination. To mark the launch of the partnership Virgin Atlantic launched the joint creative alongside competitive sale fare to London, flying economy from $1507 including taxes. Through this collaboration, the Great Britain by Virgin Atlantic campaign communicates both organisations' commitment of inspiring Australian travellers to visit Britain not just in 2012 but beyond into 2013. Royal Caribbean International, at a press conference in Beijing, said Mariner of the Seas will be based in Asia in June 2013 and will offer a number of itineraries from China and Singapore to Southeast Asia, Japan and Korea throughout the rest of the year. Mariner of the Seas is the second 3,114-passenger ship to move to the China market, joining Voyager of the Seas. Royal Caribbean executives said this illustrates the company’s commitment to the growing cruise industry in Asia. Together, the two ships represent the two largest and most modern cruise ships operating in the region. Richard Fain, chairman and chief executive officer of Royal Caribbean Cruises Ltd., and Adam Goldstein, president and chief executive officer of Royal Caribbean International, made the announcement with Dr. Zinan Liu, group managing director for China and Asia. 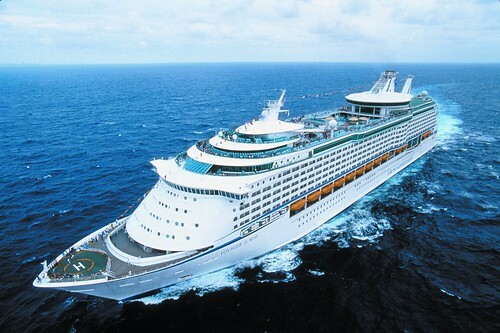 Royal Caribbean will deploy Mariner of the Seas to China in June 2013. The ship will offer a wide variety of itineraries, ranging from three nights to 12 nights. The move is designed to offer additional capacity to a fast-growing cruise in China, as well as attract cruise guests from around the world to visit China and sail around Asia. The ship will adopt the same product customizations made for Voyager of the Seas' entry in the market, including Chinese-style menus, as well as enhanced retail and entertainment offerings, and language services. Mariner of the Seas, which displaces 138,279 gross registered tons, will depart the Caribbean in April 2013 and head to Singapore and onto China via Dubai and the Suez Canal. 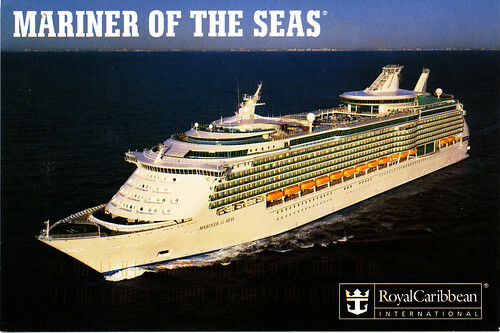 When the ship sails into China in June 2013, Mariner of the Seas will offer guests the benefits of the company’s Royal Advantage strategy, including enhanced staterooms and other innovative features. Underscoring the significance of the growing Chinese cruise economy and established desire to sail with Royal Caribbean International, Voyager of the Seas is confirmed to return to China in 2013 for a second season. Meanwhile, Legend of the Seas, which has operated out of Singapore and Shanghai for the past three years, will return to Europe. A new ferry service is in the works for Alaska's rainforest islands. Stretching out through the pristine waters of the Inside Passage, the rainforest islands offer access to glaciers, mountains, ancient forests and caves and is a destination known for fishing and bear viewing opportunities. The 70-passenger, 14-vehicle ferry features an observation deck, recliner lounge, coffee shop and food and beverage service. It will connect Wrangell, Petersburg (via South Mitkof) and Prince of Wales Island (via Coffman Cove) four days a week, with additional service to Ketchikan (via Saxman) three days a week. Throughout the winter, service will be maintained three days a week between Wrangell, Petersburg, and Prince of Wales Island. The Rainforest Islands Ferry will also provide transportation between ferry terminals and towns on both Prince of Wales and Mitkof islands as well as to connecting points for recreational opportunities for travellers without a vehicle. For more information visit www.rainforestislandsferry.com. Sailing an incredible six week voyage from New Orleans via the Atlantic Ocean, the Mediterranean, the Red Sea, Dubai and India, Royal Caribbean's Voyager of the Seas will finally come to rest in Singapore on Saturday 26 May, but not for long. Her arrival in the island nation kicks off her debut Asian season, which will see her sailing 25 cruises ranging from three to 14 nights. Immediately following her season in Asia, Voyager of the Seas will sail to Australia and New Zealand for her first summer cruise season Down Under. While she made the monumental journey from one corner of the world to the other, Voyager of the Seas has also been busy in other ways. In preparation for her big debuts in Asia and Australia, she's enjoyed a freshen-up with the addition of new carpets throughout and flat screen televisions in cabins, while her casino and sports decks were also refurbished. "Voyager of the Seas is going to astound guests with unparalleled experiences on Asian waters such as an ice-skating rink onboard and an exclusive DreamWorks experience at sea – where Po and Shrek and other celebrity DreamWorks characters will engage guests with special events like parades and interactive breakfasts. And now after her recent refreshment, guests are going to love cruising on her even more," says Adam Armstrong, commercial manager, Royal Caribbean Cruises Australia. The largest and most amenity-filled cruise ship to sail in the region, Voyager of the Seas, will offer five cruises from Singapore, before sailing to China where she presents itineraries from Shanghai (Baoshan) and Beijing (Tianjin). Voyager of the Seas will offer cruise guests a wide range of short cruises – three-, four-, five-, seven- and eight-night itineraries in Asia – to longer, 14- to 18-night cruises in the South Pacific to New Zealand and Australia. Voyager of the Seas will wrap up her Asian season with a 14-night repositioning cruise sailing on October 22, 2012 from Singapore, arriving in Fremantle, Australia on 5 November 2012. Those who cannot wait for her arrival in Australia can escape winter with an Asian cruise on Voyager of the Seas. 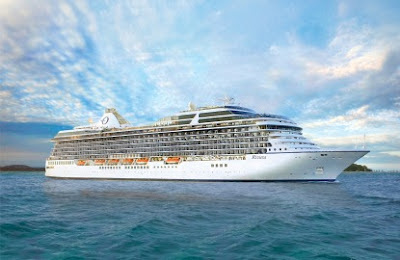 Fares for the seven-night "Pearls of the Orient" cruise departing on 4 August 2012 start from $1119 per person. For additional information, visit www.royalcaribbean.com.au. Royal Promenade – an indoor "main street" stretching nearly the full length of the middle of the ship, lined with places to eat, drink, shop and be entertained. Guests can stroll up and down the four-story street and enjoy regular street parades. "Studio B" Ice Rink – an ice skating rink for guests that doubles as a sensational 700-seat venue for ice show productions with world-class figure skaters. Eleven dining venues include specialty restaurant "Portofino" for classic Italian fine dining and 50s inspired American diner "Johnny Rockets". There's also the grand three-story, 1,919-seat main dining room. Unparalleled sports facilities including an inline skating track, Royal Caribbean International's signature rock-climbing wall, a nine-hole mini golf course, a golf simulator, a full size sports court with basketball court, three swimming pools and six whirlpools. Forr additional information, call 1800 754 500 or visit www.royalcaribbean.com.au or the Royal Caribbean Australia and NZ Facebook page. Travel professionals can call 1300 754 500 or visit www.cruisingpower.com. Toga Hotels is pleased to announce plans to open a new hotel in late 2013 to be known as Adina Apartment Hotel Mascot. Located less than 1km from Sydney Airport on Bourke Road, Capital Corporation will soon commence construction on the purpose built apartment hotel. While there are many hotels in Mascot, apartment hotels are limited. Adina Apartment Hotel Mascot will service a growing need from travellers to be accommodated in apartment style accommodation. Mascot is a thriving business hub and Adina Apartment Hotel Mascot will meet the accommodation demand from local businesses, along with leisure and business transit-travellers. Guests will value the ease of staying just minutes away from Sydney's international and domestic airports with the added convenience of an Adina airport shuttle service. The Mascot train station is located less than 250 metres away and offers an easy transport solution for guests wanting to explore Sydney's CBD and tourist attractions. Setting Adina Apartment Hotel apart from the competitor set will be Adina's signature apartment space, stylish interiors, functional features and premium lifestyle facilities. The full service apartment hotel has been designed to make time in transit more comfortable. Guests will be able to prepare home cooked meals in their private apartment, wash clothes in-room in a fully equipped laundry or simply relax in contemporary living areas. For business travellers, the apartment offers space for small meetings, along with conference rooms for larger events. Allan Vidor, Managing Director of Toga Group, said: "Adina Apartment Hotel Mascot represents another great milestone for Toga Hotels. Adina Apartment Hotel Mascot is the fourth new Adina Apartment Hotel to be announced this year following Bondi Beach, Norwest and Royal Randwick Racecourse. Toga Hotels is implementing a compelling growth strategy for our international apartment hotel brand – Adina Apartment Hotels – in Sydney, off the back of continued success in Europe. "In 2013 we look forward to impressing our guests with the Adina brand and are proud to be once again taking on the operating agreement for Capital Corporation." Other new Adina Apartment Hotels coming soon include: Adina Apartment Hotel Norwest (2012), Adina Apartment Hotel Bondi Beach (2013) and Adina Apartment Hotel Royal Randwick Racecourse (2014). These new additions to the portfolio will take the total number of Toga Hotels to 56, across the four brands; Adina Apartment Hotels, Medina Apartment Hotels, Vibe Hotels and Travelodge Hotels. 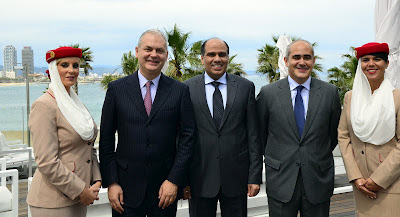 Barcelona press conference (from the left): Thierry Antinori, Emirates' Executive Vice President, Passenger Sales Worldwide; Salem Obaidalla, Emirates Senior Vice President, Commercial Operations, Europe & Russian Federation and Fernando Suárez, Emirates' Country Manager for Spain, with Emirates' cabin crew. Emirates is fast approaching the tripling of its flights to Spain, which includes the launch of a daily service to Barcelona from 3rd July. The airline has been stepping up activities in Barcelona, part of the commercially and culturally rich Catalonia region. On Tuesday evening, Emirates hosted a media gathering in Barcelona, sharing the latest on preparations for the Barcelona service and its expansion in Spain. The new Barcelona link will come two days after the launch of a second Emirates' flight to Madrid on 1st July. "The new Barcelona flight is the culmination of a very significant increase in our services to Spain," said Thierry Antinori, Emirates' Executive Vice President, Passenger Sales Worldwide. "In the space of 48 hours, we will have tripled flights to this market in a clear demonstration of our commitment to Spain." Also present at the press conference in Barcelona was Salem Obaidalla, Emirates Senior Vice President, Commercial Operations, Europe & Russian Federation, Damià Calvet i Valero, Mobility and Transport Secretary of the regional Catalan government and Sonia Corrochano, Director, Barcelona El Prat Airport. Barcelona has one of the busiest ports in the Mediterranean and thousands of cruise passengers are amongst the city's 7 million visitors per year. The city is also the capital of the Catalonia region, which receives approximately 25% of annual foreign investment in Spain. "Dubai is strategically located between east and west. Through our industry leading Emirates' Terminal 3 in Dubai, companies will have faster and more efficient access to Middle East, African and Asian markets. At the same time, Catalonia will be able to attract more foreign investment and our new daily service will certainly boost the tourist flow in and out of the region," Mr Antinori added. Emirates will serve Barcelona with a 360-seat Boeing 777-300ER with highly trained, multi-lingual cabin crew on hand in the First, Business and Economy Class cabins. The aircraft, amongst the largest in the airline's fleet, offers luxurious First Class Private Suites, lie-flat seats in Business Class and a new generation of comfort in Economy Class. First and Business Class passengers can enjoy a complimentary chauffeur service to and from the airport. Throughout all cabin classes, gourmet chef prepared food is served, while the much-enjoyed ice entertainment system carries over 600 channels of movies, TV programmes, games and music. From Barcelona, passengers will be able to fly more conveniently to popular destinations such as Mumbai, Delhi, the Seychelles, Mauritius and Manila. In Dubai, travellers can also pick up Emirates' flagship aircraft, the A380 when travelling to places such as Jeddah, Tokyo, Beijing, Shanghai, Hong Kong, Seoul, Sydney and Auckland. Emirates SkyCargo has been operating freighter flights to Spain since 2006, largely in support of the country's fashion industry. Clothes are also amongst Catalonia's main exports to the Gulf, along with items such as cosmetics, audio and video equipment and fresh food. In 2010, overall trade between Spain and the UAE reached AED 4.15 billion (US $1.13 billion) and has been increasing at a rate of around 15% per year. Emirates employs over 300 Spanish staff globally, many of whom are cabin and pilots, and regularly conducts recruitment exercises in Spain. New Zealand tourism operators fear one of the world’s last great wilderness destinations, the World Heritage Fiordland national park, will be ruined by the construction of an underground bus tunnel through the area. A private company plans to build an 11km bus tunnel in New Zealand’s Fiordland and Mt Aspiring National Parks, both situated in the Te Wahipounamu World Heritage Area. The tunnel would be for the exclusive use of buses to take tourists from Queenstown to the iconic Milford Sound. Tourism groups believe the World Heritage status of the region is under threat because of the project and have joined a growing online protest aimed at halting the development. Local resident Patricia Ko started a petition on Change.org which has been signed by more than 9,500 people. Each time the petition is signed, an email is sent to Conservation Minister Kate Wilkinson, who has the final decision on the project. Patricia said the Milford Dart tunnel project was putting at risk New Zealand's “100% Pure” brand. “Putting a bus tunnel through this world heritage area is akin to building a chairlift to the top of Ayers Rock or putting a parking lot on top of the Great Barrier Reef,” said Patricia, who lives in Glenorchy, the town known as “The Gateway To Paradise” and for its amazing backdrops used in the Lord of the Rings, Hobbit and Narnia films. Patricia has been joined by a number of tourism operators in condemning the project. Vladka Kennet, owner-operator of inbound travel company True Travel, said the tunnel would “immensely and irreversibly affect the whole purpose, idea and success of the tourism industry in the region”. “The majority of my clients come to New Zealand to experience the pure, almost untouched natural environment that the area has to offer,” said Vladka. Steve Norris, whose business Trips 'n' Tramps offers guided tours of Fiordland National Park, Milford Sound and Te Anau, said the impact of the tunnel would be “hugely negative”. New Zealand’s Department of Conservation has given notice of intention to grant permission for the tunnel, but the final decision rests with Conservation Minister Wilkinson, who has admitted the topic is “very controversial”. Change.org is the world’s fastest-growing platform for social change — growing by one million new members a month, and empowering millions of people to start, join, and win campaigns for social change in their community, city and country. The Launch of the iFly 4 Kids was a spectacular success with teams of kids in awe of the lifesize dinosaur, a Dwarf Allosaurus, that wandered the Illawarra Fly grounds along with the baby dinosaurs. "The kids had a ball and were running around screaming as the dinosaur walked around the visitors information centre" says Neredith Elliott GM Illawarra Fly Treetop Adventures "They were both amazed and terrified of the life like prehistoric animals". The dinosaur show is part of the ERTH performance that will be running in early July. To complement The Fly's environmental treetop walk experience, Illawarra Fly launched its iFly4 Kids program. iFly 4 Kids is a series of school holiday programs with a different theme for each of the holidays. It's dedicated to delivering relevant, educational, environmental, inspirational, high quality entertainment for children and families. "We are looking at ways to provide a different offering for our visitors" says Neredith Elliott GM Illawarra Fly "It's important for us to keep reinventing ourselves to gain return visitation as well as increase the number of new people that visit us and the region"
The new school holiday programs, collectively known as iFly 4 Kids, is expected to increase visitation to the region bringing with it economic benefits to other businesses in the area. "We expect visitation to increase threefold during these events" says Elliott "We start with the Erth Dinosaur life size puppet show in July where kids can pat the dinosaurs and see them in action, then we are bringing snow to the Southern Highlands in September". Steve Rosa, Southern Highlands Tourism Manager said "I'm so pleased to have such a premier attraction in our area. The iFly 4 Kids program will rejuvenate, reinvent and showcase the Southern Highlands"
"Historically the Southern Highlands wasn't a family destination but with our rebranding of the region, the iFly 4 Kids program will be a star attraction in our new campaign". "This is a great opportunity for local businesses to really embrace this new product line up and build business around it. The expected increase in visitation brings more spend to the community" says Elliott. Each of these events will attract new visitors to the region and will also increase repeat visitation. "We are hoping to attract more people from Sydney and Canberra. I don't think they realize how close we are to them and these events will help create more awareness of the Southern Highlands and South Coast regions". To be presented each and every school holidays, the iFly 4 Kids program is expected to provide kids with a knock out series of activities that will offer families a great day out during each school holiday period. It's a great chance for Grandparents, & parents, to bring the kids for an exciting day out. Illawarra Fly is less than two hours from Sydney and Canberra. "We've put together an amazing schedule of fun school holiday programs for kids" says Neredith Elliott GM Illawarra Fly Treetop Walk "For our launch event we are presenting Petting Zoo by Erth which is a fantastic show about Australian Mega Fauna that is in huge demand all around the world, kids love it"
The iFly 4 Kids tickets for all events are on sale now. Illawarra Fly is at Knights Hill, near Robertson in the Southern Highlands above the South Coast - why not take a tour of the Grand Pacific Drive, take in the Fly, head to Robertson and check out the famous Pie shop then cruise back home. It's a relaxing, interesting and fun day out, or take a break and spend a few days. Enjoy the panoramic views high above the escarpment across the South Coast. "The 45m tower is a big hit being one of the highest points to view the beautiful coastline, with views from the Fly to the Coast which is over 50km away you can literally see for miles" says Elliott. Not only can kids have fun over the school holidays, they get to learn about the rainforest with interpretive signage and they also get to burn off energy. Head to Illawarra Fly for the school holidays with loads of entertainment and fun. Oceania Cruises’ new ship, Riviera, will embark on her 10-day maiden voyage today, 16 May, from Venice to Athens. Riviera, the newest entry in Oceania Cruises’ upper-premium category, is one of the most beautiful, elegant and sophisticated ships to debut in the past 50 years, revealing a seamless blend of the line’s signature country club casual atmosphere with the sophisticated elegance of a private yacht. Sister ship to the magnificent Marina which launched early last year, Riviera, at 66,000 tonnes, can carry up to 1,250 passengers and takes on a Cuban influence reflecting the line’s founder, CEO and chairman, Frank Del Rio’s heritage. From 16 May through 29 November 2012, Riviera will offer 12 distinctive itineraries on a total of 20 voyages, calling on ports in France, Italy, Greece, Spain, Portugal and Turkey as well as Israel, Croatia, Cyprus, Montenegro, Morocco and Monaco, with maiden calls in Cephalonia (Argostoli), Motril (Granada) and La Palma in the Canary Islands. “When asked, I've repeatedly said that it was going to be hard to improve on Marina's perfection, but I didn't say it would be impossible. And we have done just that – improved on perfection. Riviera is a work of art herself, and designed to bring the beauty of the world to our guests,” said Del Rio. Riviera’s gala christening ceremony was presided over by her godmother, US celebrity chef and co-host of new TV series “Around the World in 80 Plates,” Cat Cora in Barcelona on 11 May. A 15-litre bottle of Champagne was commemoratively smashed against the hull in celebration. Two of Riviera’s most noteworthy design features are visible from the moment guests embark in the ship’s reception area – a specially commissioned two-story Lalique Grand Staircase and a custom-crafted Italian chandelier accented by 380 crystal spheres. Riviera also echoes Oceania’s commitment to providing the best food and wine at sea with 10 dining venues overseen by celebrated French-American chef and Executive Culinary Director of Oceania Cruises, Jacques Pepin, as well as a hands-on cooking school and dedicated wine tasting room, La Reserve. Each of Riviera’s 625 suites and staterooms are imbued with a warm and smart contemporary look. Veranda and concierge staterooms – at 26 square metres are among the most spacious at sea – feature a defined sitting area and balcony furnished with a chaise lounge, armchair and table. The 124 penthouse suites measure an industry-leading 39 square metres. The layout includes a living/dining room separate from the sleeping area, walk-in closet and bathrooms with a double vanity. Oceania Cruises partnered with pre-eminent American designer Dakota Jackson, who fashioned more than 40 exquisite pieces of furniture and lighting to lend the Vista and Oceania suites the feel of a chic city apartment. Exuding style and innovation, they feature surfaces combining glass, stone, wood and metals together with rich, weighty fabrics such as mohair and silk chenille. Three Owner’s Suites measure more than 186 square metres, spanning the beam of the ship, and feature furnishings from the acclaimed Ralph Lauren Home collection. · The spa deck at the Canyon Ranch Spa Club now features a new thalassotherapy pool as well as expanded changing areas. · The ship will showcase more than 100 works by some of Latin America’s most accomplished and admired contemporary artists, a collection personally curated by Frank Del Rio. · A total of 10 dining venues, of which six are open-seating gourmet restaurants with no surcharge. La Reserve by Wine Spectator offers enlightening wine and food pairings. · The new Bon Appétit Culinary Centre – the only hands-on cooking school at sea. The latest "Explore Your World" offers are out now for sales through to 30 June 2012. Contact your travel agency today. Follow the Oceania Cruises blog, including the building of Riviera on www.oceaniacruisesblog.com or visit www.OceaniaCruises.com.au. On Friday, May 11, 2012, Avalon Waterways unveiled and christened not one, but two Suite Ships in Enkhuizen, Holland. TRAVELSAVERS’ Nicole Mazza served as the godmother of the Avalon Visionary while Canadian travel industry insider Vanessa Lee, acted as godmother to the Avalon Vista. Docked parallel to one another on either side of a beautiful pier in the North Holland marina of Enkhuizen, guests gathered to witness two godmothers bless two Suite Ships, for the first time. The order of this unique, dual christening was determined by coin toss. The Avalon Visionary won the honor of leading the ceremony. After reciting their respective speeches, Lee and Mazza swung the ropes tethered to two separate bottles of Moët & Chandon Champagne while more than 150 guests – including Enkhuizen’s proud Mayor Baas, Visionary and Vista Captains Laskovich and Schoustra, as well as key executives from Avalon offices worldwide, travel agents and media from Australia, Canada, the United Kingdom and United States – watched them shatter against the newly painted exteriors of each vessel. After the christening, guests were invited aboard the Avalon Vista for a Champagne reception with entertainment from de Swingers and five-course Captain’s dinner. They were then invited onto two decks of the Avalon Visionary for five elaborate dessert spreads, ranging from cheese and wine offerings and homemade ice cream to such indulgences as chocolate mousse, tiramisu and crème brûlée. An impressive, 15-minute fireworks celebration followed culminating in a sparkling display that featured the names of both christened ships. The evening ended late with guests dancing to two bands – Back in the Groove and Tanya’s Chill – on board both ships, still docked side-by-side. The Avalon Visionary and Avalon Vista mark the company’s 2nd and 3rd Suite Ships in just 12 months. Post-christening, the Avalon Visionary will introduce Panorama Suites to the Rhine River in 2012, sailing the 8-day Romantic Rhine cruise (starting at $1,849) as well as several Christmastime cruises. The Avalon Vista will sail the 11-day Legendary Danube cruise (starting at $1,839) and 13-day Blue Danube Discovery (priced from $2,249) as well as the 15-day Magnificent Europe vacation. For more information, visit www.avalonwaterways.com or call 1.877.380.1535. MTA - Mobile Travel Agents has become one of only a handful of Australian-based agency groups to be invited to become a member of the exclusive Orient Express Bellini Club. 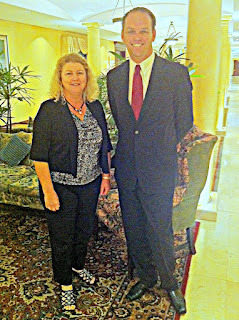 MTA Managing Director, Karen Merricks met with Orient Express' Director of Sales Australia/New Zealand, Shane Arnold last week in Sydney to formalise the agreement which sees the agency group become part of a global initiative that selectively invites the world's top travel professionals to exchange leading ideas and expertise. Under the agreement MTA consultants will benefit from enhanced commissions when booking directly with Orient Express and have access to exclusive 'Come & Stay' rates to gain personal experience of the company's products. MTA agents now also benefit from the perspective of being granted priority for Orient-Express educational trips and events, training and a series of key local events. In addition, the top 30 Bellini agencies will be invited to an exclusive, four-night annual global Bellini event. Ms Merricks said the company was extremely honoured to become a member of what is a very exclusive group of international agents. "The Bellini invite is yet another feather in the MTA cap," she said. "We are already 'by invitation only' members of Virtuoso which comprises the top one per cent of travel agencies worldwide as well as a Travelscene American Express corporate member and an accredited Virgin Galactic Space Agency. 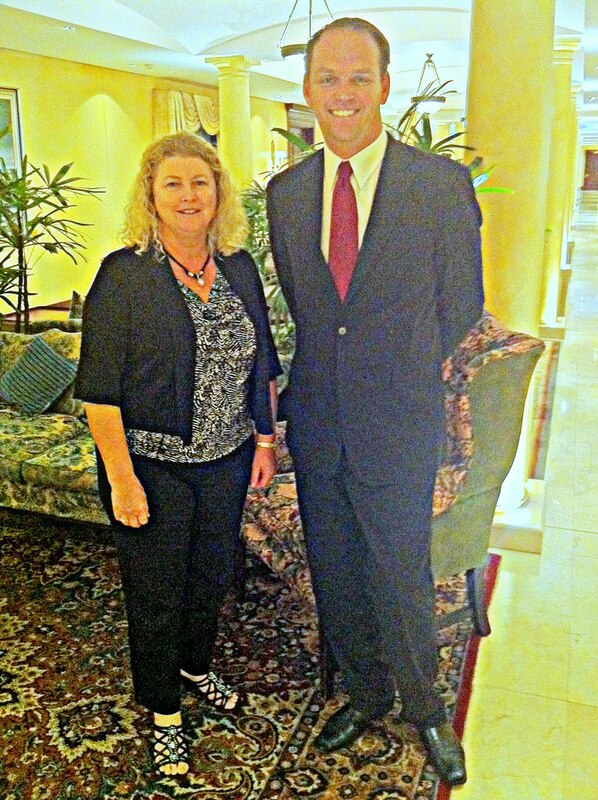 "Gaining this additional recognition from such an internationally renowned organisation is firm acknowledgement of the respect and esteem with which MTA is held both within the Australia travel industry and overseas,"
Pictured: MTA Managing Director, Karen Merricks and Orient Express' Director of Sales Australia/New Zealand, Shane Arnold at the Observatory Hotel in Sydney at the formal induction of MTA as an Orient Express Bellini Club member. Licensed since 1991, MTA is a 100 per cent Australian owned family business with clients nationally and headquartered on Queensland's Gold Coast. MTA Travel Experts are hand picked travel professionals who generally have extensive industry experience of between 15 and 25 years experience working in major agency chains prior to joining the organisation. IATA accredited and a member of the Travel Compensation Fund, MTA is also proud to be a member of Virtuoso, the exclusive 'by invitation only' global organisation comprising the top one per cent of travel agencies worldwide. MTA is also a Travelscene American Express corporate member and an accredited Virgin Galactic Space Agency. Australian Turf Club (ATC) Chairman John Cornish announced today that international company Toga Hotels has signed an Agreement to manage a 170 room, 4 star apartment hotel at Royal Randwick. Branded Adina Apartment Hotel Royal Randwick Racecourse, the unique track fronting hotel is part of the ATC's world-class redevelopment of Royal Randwick Racecourse and its vision to create Sydney's best racing, entertainment and events destination. This hotel is a key part of a growing array of centralised services and accommodation to benefit Members and the broader community. ATC is also taking advantage of a buoyant Sydney hotel market, with occupancy rates near all time highs and room rates on the increase. The hotel will be located along Alison Road at the end of the main straight, with spectacular views over the racetrack towards the winning post and across Centennial Park to the city skyline. The new hotel will provide quality accommodation to race day attendees, local and visiting businesses, as well as tourists, event goers and the surrounding community including UNSW, Prince of Wales Hospital, Sydney Cricket Ground, Allianz Stadium, Sydney International Airport, and Sydney CBD. A restaurant, pool deck bar and conference facilities within the hotel will provide superior dining and business facilities to hotel guests, race-goers and the local residential and business community. "Very few new Sydney hotels have been developed in recent years. Our research shows there is strong demand for rooms to service the needs of visitors to the event precinct of Royal Randwick and its surrounding neighbours which includes the Eastern Suburbs beach precincts," Mr Cornish said. Similarly the Children's Hospital requires rooms for visiting surgeons, specialists, families and patients; whilst UNSW is regularly looking for accommodation for visiting lecturers and students. "On race days we will be able to accommodate our intrastate, interstate and international visitors trackside, which will be highly valued during Carnivals. "Our growing non-raceday meetings, conference and events business will be greatly enhanced with onsite accommodation and additional conference facilities just a few kilometres from the Sydney Airport, Sydney CBD and Bondi Beach." Minister for Racing, George Souris, has congratulated the Board of the Australian Turf Club for its vision and forward thinking in its latest project at Royal Randwick. "This magnificent facility on the edge of Sydney's CBD, is much needed, providing much needed accommodation, conference space, restaurants and facilities for racing participants, Mr Souris said. "The hotel development will greatly compliment the current redevelopment of Royal Randwick which will make it the envy of the thoroughbred racing world with the most modern, state-of-the-art facilities. "Royal Randwick is situated on the doorstep of Australia's global city and this extensive rebuilding and much needed hotel project will not only benefit race day crowds, but position Sydney to leverage fresh tourism and visitation with the new purpose-built sporting, recreation and event facilities." 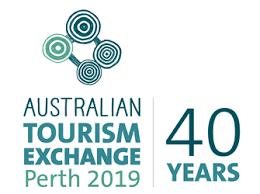 The hotel will be operated by the Toga Hotels, who are responsible for the management of 52 hotels across Australia, New Zealand and Europe under the recognised brands of Adina Apartment Hotels, Medina Apartment Hotels, Vibe Hotels and Travelodge Hotels. Allan Vidor, Managing Director of Toga Group said "Toga Hotels is excited to announce plans to open Adina Apartment Hotel Royal Randwick Racecourse and help support the Australian Turf Club's vision of creating Sydney's premier racing and entertainment destination". "The Adina Apartment Hotel brand will be an ideal fit for Sydney's racing heartland, offering serious levels of space and a commitment to contemporary design. Guests will feel immediately at home with separate lounge rooms, bedrooms, fully equipped kitchens and laundries along with lifestyle facilities such as a gym, pool and restaurant. For those wanting to experience the excitement of trackside action, many rooms will feature balconies with views toward the winning post. 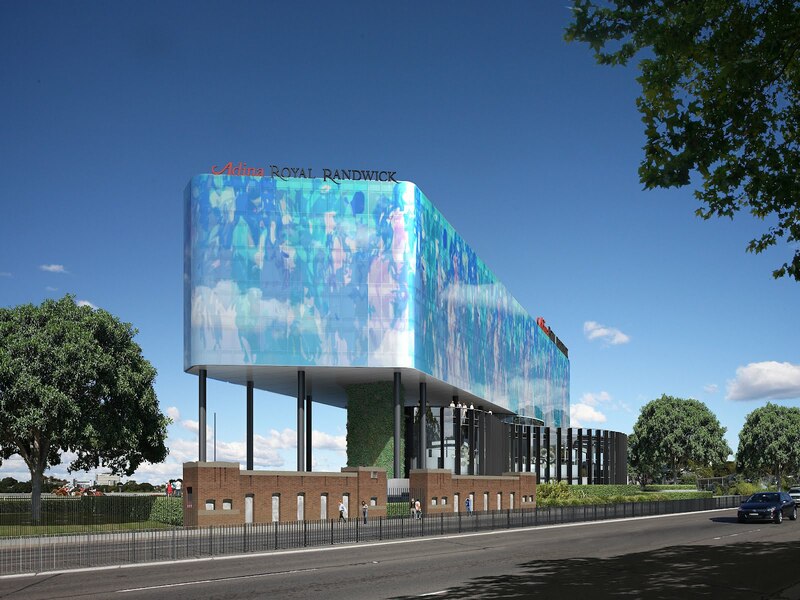 "Adina Royal Randwick Racecourse will fill a much needed gap with accommodation and lifestyle facilities in this dynamic precinct that is the home to the sport of kings". 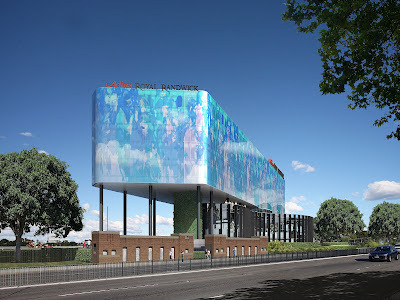 The hotel is expected to commence construction in late 2012, with an opening date to follow completion of the Royal Randwick Grandstand redevelopment in 2014. Australian online travel agency, Jetabroad, has noted a large jump in the number of Australians travelling to New Zealand this March compared to the same time last year. This increase is partly due to an earlier Easter and school holidays, and shows a strong recovery from last year's Christchurch earthquake. Statistics New Zealand released their International Travel and Migration figures this week, which reveal that 8,400 more Australians travelled to New Zealand in March 2012 than in March 2011. This increase in Australian tourists contributed to an 11 per cent year-on-year jump in total visitors to New Zealand, and a 4.4 per cent increase in the year to March. Australians account for roughly half of all tourists to New Zealand, thanks to its proximity and the ready availability of cheap flights. New Zealand's spectacular landscape and active lifestyle has long drawn visitors from around the world, leading Lonely Planet to name it the world's top travel destination in 2003 and 2004. Commenting on the results, Jetabroad MD Darin Walters says: "People tend to travel before and after long weekends, and we saw a huge jump in numbers in the last week of March leading up to the Easter period." 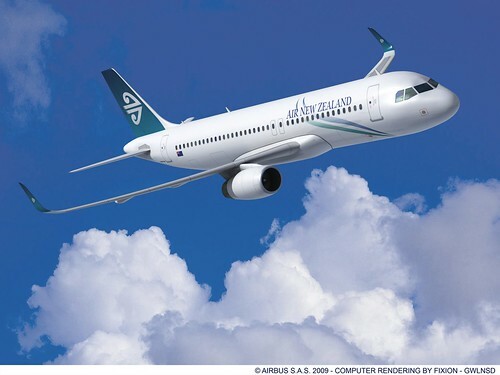 Walters continues: "Australia and New Zealand have long had a strong travel partnership, and we're glad to see that flights to New Zealand have grown in popularity this year. We hope that these numbers continue to grow as more Australians discover how much New Zealand has to offer." Pic: A mock of Titanic II made for the 2010 telemovie of the same name. It sank too. 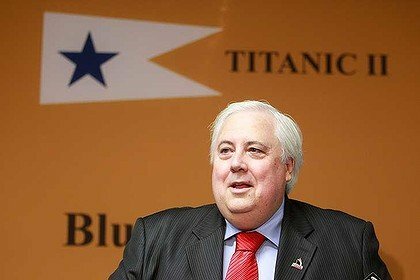 Leading businessman Clive Palmer has launched a new international shipping venture which has plans to build a fleet of world class luxury liners including a 21st century version of the Titanic. More than 100 years after the original Titanic's tragic sinking in the North Atlantic Ocean, Mr Palmer has signed a Memorandum of Understanding (MOU) with state-owned Chinese company CSC Jinling Shipyard to build Titanic II. "It will be every bit as luxurious as the original Titanic but of course it will have state-of-the-art 21st century technology and the latest navigation and safety systems," Mr Palmer said. Mr Palmer said the rebuild was a tribute to the spirit of the men and women who worked on the original Titanic. Mr Palmer said he has established a new shipping company Blue Star Line Pty Ltd which has commissioned CSC Jinling Shipyard to build and coordinate the construction of Titanic II in China. "China currently produces around two to three per cent of the world's luxury ships but is looking to challenge the Europeans who have around 75 per cent of this market. Titanic sank after hitting an iceberg on April 15, 1912. It was one of the world's deadliest peacetime maritime disasters, costing the lives of 1,514 passengers and crew. The Titanic was commissioned by White Star Line and was the largest liner in the world at just under 270m long, 53m high and weighing approximately 40,000 tonnes. 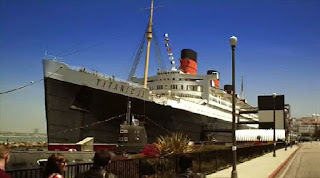 Mr Palmer said design work in conjunction with an historical research team had commenced on the new Titanic, which would have the same dimensions as its predecessor, with 840 rooms and nine decks. The only changes to the original Titanic would be below the water line including welding and not riveting, a bulbous bow for greater fuel efficiency, diesel generation and enlarged rudder and bow thrusters for increased manoeuvrability. "Titanic II will be the ultimate in comfort and luxury with on-board gymnasiums and swimming pools, libraries, high class restaurants and luxury cabins," he said. Mr Palmer said the new ship would also include an exhibition room which will be located in the space of the old coal boilers which will showcase Queensland and its abundance of opportunities to international passengers. This new venture will add to Mr Palmer's growing tourism portfolio which includes the Coolum Golf and Spa Resort and Robina Woods and the Colonial golf courses. The Costa Fascinosa (114,500 gross tonnage and 3,800 total guests), the new flagship of the Costa Cruises fleet, was delivered to Costa by Fincantieri in Venice on Saturday, May 5. The ship was officially handed over at the Venice Passenger Terminal, and together with her sister ship Costa Favolosa, is the largest Italian-flagged cruise ship afloat. The delivery ceremony was attended by Italy's Minister of Tourism Piero Gnudi, with his daughter Elsa named as godmother. To celebrate, Costa Cruises and Fincantieri have made a joint donation to the Papa Giovanni XXIII Community by Father Oreste Benzi for the "Rainbow Project", a program which offers help to children in need worldwide, supported by Elsa Gnudi. Simultaneously, Costa reinforced its ongoing commitment to safety by announcing that all Costa fleet members will raise their already high safety standards by introducing seven new safety initiatives. These include: strengthening guest emergency training procedures beyond regulatory requirements; strengthening the invitation procedure for guests who missed emergency and safety on-board training; a new section "Noi per Voi" ("Here for You") on Costa Cruises' website to give even more transparency to safety procedures on board and the launch of the new real-time route-monitoring system "High Tech Safety Monitoring System" (HT-SMS). Officers will also receive training on the new bridge-management model; formal sharing of the ship navigation plan; and further strengthening to the policies that regulate access to the bridge. The total investment made by Costa Cruises for the Costa Fascinosa (www.costacruise.com/fascinosa) is 510 million euros, with the ship's construction involving 3,000 yard workers and a further 7,000 people from some 500 contracted suppliers. Since 1990 Costa Cruises has invested 5.8 billion euros in work at Italy's Fincantieri, T. Mariotti and San Giorgio del Porto shipyards, with a total of 14 ships built or on order, in addition to the refurbishment of other fleet members already in service. The handover of the Costa Fascinosa takes place nearly two months after the delivery of the Costa neoRomantica, the result of the 90 million euro refurbishment of the Costa Romantica carried out at the San Giorgio del Porto shipyard in Genoa. Costa Cruises' fleet expansion program continues, again at Fincantieri's Marghera yard, with the construction of a new 132,500-tonne ship due for delivery in October 2014. Accommodating up to 4,928 guests, this new ship will become the largest Italian cruise ship. "The delivery of the Costa Fascinosa is an important stepping stone in our company's road to recovery. It is confirmation that the long-term fundamentals of our business remain strong, since it's an investment worth over 500 million euros, coming just two months after the 90 million euro revamp of the Costa neoRomantica. After the recent incident, despite the economic downturn and the impact on consumption, Costa has bounced back and booking volumes are back to the same levels recorded this time last year, ahead of our own expectations. This is thanks to the quality of our product, the strength of our brand, which comes with a guarantee of over 60 years of experience, and our unfailing customer loyalty," commented Costa Crociere S.p.A Chairman & CEO Pier Luigi Foschi. The Costa Fascinosa sets sail from Venice on her vernissage cruise on May 6, bound for Slovenia, Trieste and Croatia, and will be hosting the 19th edition of the "Champions of the Sea" – an annual event in partnership with Costa Cruises that celebrates the best travel agents across five continents. Then, on May 11, Costa Fascinosa will depart from Venice once again, this time on her inaugural cruise – a 10-day itinerary taking in Greece, Israel and Turkey. For the rest of the 2012 summer season until the end of November, the Costa Fascinosa will be operating seven-day cruises from Venice and Bari to Greece and Croatia. In winter 2012/13 the flagship will be in South America on cruises in Brazil, Argentina and Uruguay, while in summer 2013 she will be back in the Eastern Mediterranean on one-week trips to Greece and Turkey with departures from Venice and Bari. 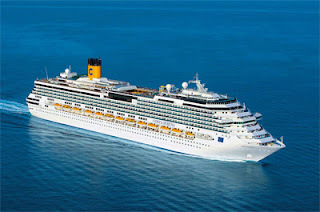 At Costa Fascinosa's delivery, Costa Cruises also presented its itineraries for 2013, with more than 600 cruises all over the world now available for bookings. The central theme for Costa Fascinosa's interiors was created by architect Joseph Farcus. The inspiration for the design of the public rooms was to recreate the atmosphere of classic cinema, movie stars and famous stage plays. The aft lido dedicated to the classic movie Gone with the Wind comprises some 1000 m2 devoted to relaxation and entertainment, with raised whirlpool tubs overlooking the sea, waterfalls and other attractions. The al fresco "Blue Moon" lido has a sliding glass roof allowing guests to gaze at the sky by day and by night all year round. This area also has a giant 18 m2 movie screen showing films and videos. In the Playground, the "Nuovomondo" 4D Cinema is a guaranteed crowd pleaser for children and adults; video gamers will head for the dedicated virtual reality area, while web surfers can stay connected at the Internet Point. The Costa Fascinosa offers bow-to-stern broadband, guaranteeing connectivity for laptops, tablets and smartphones, thanks to the Wi-Fi service available throughout the public areas and in every stateroom. Costa Fascinosa also sports a Grand Prix Simulator and golf simulator on the highest deck of the ship. The little ones will simply love the open-air Aqua Park water park playground with its own pirate galleon, castle and Waterslide. Guests will be able to see superb shows in the "Bel Ami" show lounge, socialise in any one of the 13 bars including the coffee & chocolate bar offering treats from one of Italy's most famous chocolate makers Andrea Slitti; strut their stuff in the "Babylon" Disco; check out the live music in the "Blue Velvet" piano bar or try their luck at "The Millionaire" Casino. Fascinosa's permanent art display features specially commissioned original works and prints by contemporary artists such as Sophia Vari, Mimmo Paladino, Giulio Paolini, Casagrande&Recalcati and Annalisa Pirovano. Fascinosa's "Samsara Spa" is one of the largest purpose-built wellness centers on a cruise ship, extending over 6,000 m2, and offering a range of exclusive services and treatments. For guests wishing to fully immerse themselves in a wellness cruise, the facility includes Samsara staterooms and suites with direct Spa access, including six new veranda suites with their own Jacuzzis. The Samsara experience extends to dining, with a wellness restaurant serving light tasty dishes.